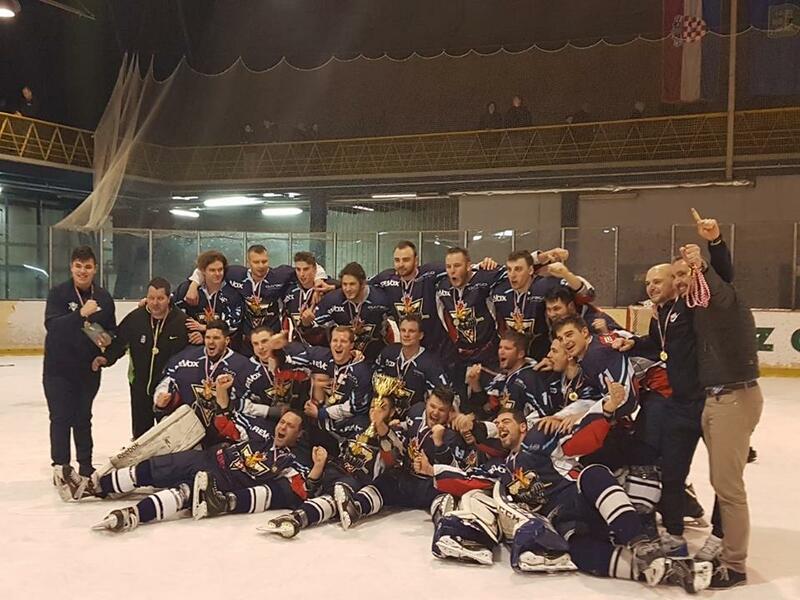 After ten consecutive titles of Medvescak, there is a new champion in Croatian League: KHL Zagreb broke the monopoly by winning a dramatic final series against Medveascak after a decisive 4-1 victory in game #5, in front of a record of 605 spectators. KHL Zagreb forward Mislav Blagus finished as League MVP and Top scorer, while champion goalie Leon Hergešić Adamović was named playoffs MVP. Eternal silver medalist Mladost Zagreb won bronze with Ivan Štimac Rojtinić awarded as regular season best goalie.